One of the prime reasons why turmeric finds its use in various diseases is its anti-inflammatory property. Curcumin, the active ingredient of turmeric, has strong anti-inflammatory property. 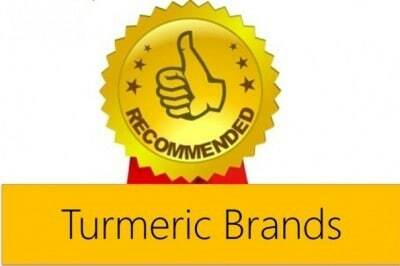 Curcumin free extract of turmeric is also proven to possess anti-inflammatory property. 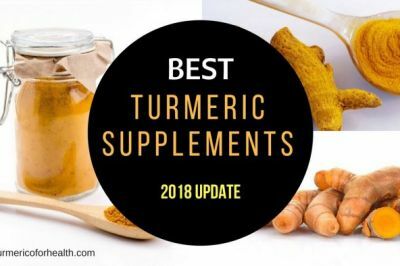 Most of the studies that demonstrate turmeric’s anti-inflammatory property have focussed on an oral intake of turmeric or curcumin which in turn results in reduced inflammation and pain. Turmeric paste is used locally for combating skin infections, skin diseases, and healing. So the question arises whether topical turmeric or turmeric applied on the skin would work as an anti-inflammatory agent? 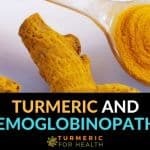 How does turmeric reduce inflammation? What does science say about turmeric as a topical anti-inflammatory agent? Curcumin targets around 30 enzymes and proteins in the body to reduce inflammation. Tumor necrosis factor-alpha is a major mediator of inflammation and its activity is influenced by another protein known as nuclear factor-kappa B. Nuclear factor kappa B regulates the activity of many molecules in the body including inflammation causing agents. 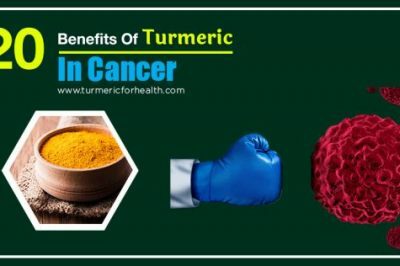 Curcumin inhibits the activity of tumor necrosis factor alpha and nuclear factor kappa B.
COX and LOX are inflammatory enzymes and most of the conventional painkillers target COX enzyme. Curcumin is however proven to inhibit both these enzymes without causing side effects such as gastric inflammation or bleeding. Apart from that curcumin also reduces the levels of inflammatory cytokines such as Interleukins, prostaglandins, MCP-1. 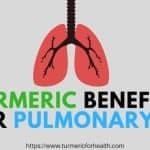 Other compounds found in turmeric that exert anti-inflammatory effect include turmerin, turmerone, elemene, furanodiene, curdione, bisacurone, cyclocurcumin, calebin A, and germacrone. 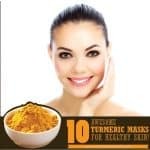 Here is an overview of research that demonstrates the efficacy of topical turmeric or turmeric applied externally on skin as an anti-inflammatory agent. Indian researchers have identified various curcumin-related compounds that have anti-inflammatory activity and their findings suggest that turmeric powder (0.6% curcumin) is efficient for reducing inflammation in a sprain. Here is a study that shows that topical turmeric is beneficial in reducing swelling and inflammation. In the animal model of edema (swelling), turmeric powder in gel bases and alcohol was applied for 2 days prior to inducing swelling. For comparison topical diclofenac, an anti-inflammatory agent was used. The concentrations of turmeric were 3.33% 10% and 33.3%. Pretreatment with turmeric gel brought about a dose dependent inhibition in swelling and turmeric gel was better in reducing swelling compared to diclofenac sodium. 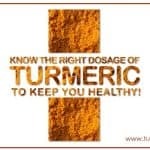 Turmeric is a constituent of herbal creams that are used to treat osteoarthritis. Combination of curcumin in emu oil applied topically is found to significantly reduce paw swelling in comparison to curcumin alone. This combination successfully reduced the level of inflammatory mediators in arthritis. 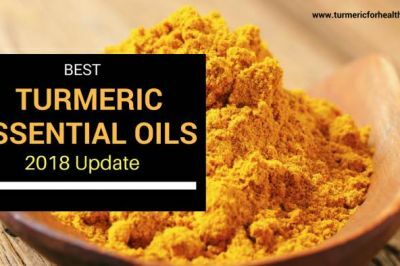 Turmeric powder prepared in gel bases or as one study suggests in emu oil penetrates the skin in order to bring about anti-inflammatory effect. Psoriasis is an autoimmune skin disease characterized by inflammation. The topical formulation of turmeric microemugel is found to reduce the lesions in plaque psoriasis. It was concluded that topical formulation of turmeric is beneficial as add-on therapy in psoriasis. Previously researchers have proven that topical curcumin application reduces or prevents skin tumor formation. Further research by the same group shows that curcumin can inhibit the activity of inflammatory enzymes COX and LOX in the skin. Arachidonic acid is one of the key proteins involved in inflammation and curcumin inhibits its activity by 50%. 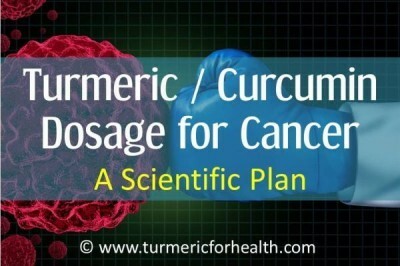 Topical curcumin is found to be as effective as oral curcumin in the skin cancer model. A clinical trial was conducted wherein patients suffering from lactational mastitis were treated with topical curcumin. Lactational mastitis is inflammation of the breast due to infections resulting after the onset of breastfeeding. Individuals were given topical curcumin to be applied every 8 hours for 3 days or a topical moisturizer. Within 72 hours those treated with curcumin had a lower rate of mastitis. They had reduced scores for tension, erythema, and pain. No side effects were observed. Turmeric paste is traditionally used for wound healing and one of the properties behind this is its anti-inflammatory action. 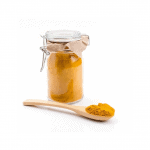 Turmeric paste is found to be as efficacious as honey in promoting wound healing. Topical application of turmeric gel is found to be as effective as chlorhexidine gluconate gel in preventing gingivitis (inflammation of gums). 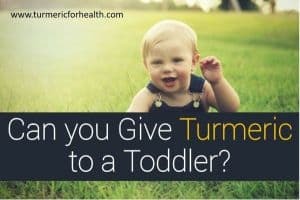 Topical formulations of turmeric are proven to reduce inflammation in skin disorders, dental problems, cancer, wound healing and lactational mastitis. Researchers are exploring various ways of increasing curcumin absorption via the skin. Elastic vesicles are a type of formulation that enables the delivery and absorption of any drug through the skin. Curcumin-loaded vesicles are found to have higher skin retention (51%) than free curcumin ointment (1.6%). 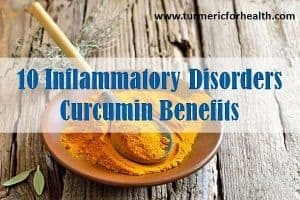 When compared to topical diclofenac (an anti-inflammatory agent) curcumin loaded vesicles brought about a significant reduction in inflammation in the animal model. Similarly in another type of vesicle called proniosomes, curcumin topical formulation is proven to have an anti-inflammatory and anti-arthritic effect. Curcumin nanoemulsions also increasing curcumin’s absorption via skin. 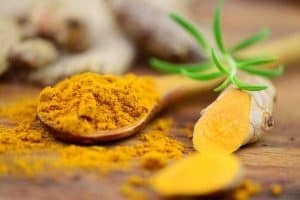 Active research is being conducted on developing carriers to enhance curcumin’s absorption through the skin and to develop topical curcumin as an anti-inflammatory agent. In India, turmeric paste is used topically for wound healing and also for joint pain. Curcumin in turmeric is not soluble in water and therefore you require oil to serve as a soluble carrier. But home remedies still recommend using water to make a paste. 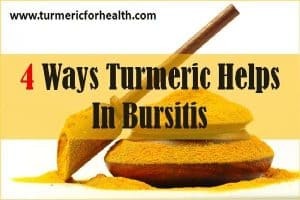 When using turmeric paste for pain and inflammation it is necessary to use oil or another carrier which would help to absorb curcumin through the skin and also serve as anti-inflammatory agent. Few of the oils which are found to anti-inflammatory effect include extra virgin olive oil, virgin coconut oil and clove oil (essential oil). A clinical trial was conducted where individuals with pain in the extremities were treated with topical sesame oil for 10 days. A significant reduction in pain was observed throughout the study period. Also, there was a reduction in dependence on NSAIDs or painkillers. Nigella sativa oil is found to beneficial in treating mastitis (breast inflammation) and has activity comparable to topical diclofenac (a painkiller). 3% peppermint oil is also found to be suitable for curcumin transport via the skin. Take 2 tablespoons of organic turmeric powder and mix it with sufficient oil (among those mentioned above). We recommend organic coconut or olive oil. You could make this paste slightly warm; warm enough for a topical application. Or you could apply this paste over the affected areas and then cover it with a warm towel or use a hot water bottle or heating pad. Massage the paste before covering it warm source. Leave it on for 30 minutes and then wash with cool water. Take 2 tablespoons of turmeric powder and 1 tablespoon salt. Add lukewarm water or oil to make a uniform paste. Apply the paste over affected areas and cover with gauze and a cling wrap to hold it in place. Leave this on 20-30 minutes and wash with cool water. This is good for sprains and muscle soreness. Mix 2 tablespoons of turmeric powder and 2 tablespoons of ginger powder with warm oil. Massage this over the affected region and leave it for 20 minutes. Cover with gauze if required. Wash with cool water. Mix 2 tablespoon of turmeric powder with 1 tablespoon lime juice. To this add sufficient lukewarm water to make a paste and apply over the affected region. Leave for 20 minutes and then wash.
Be careful of the turmeric stains. 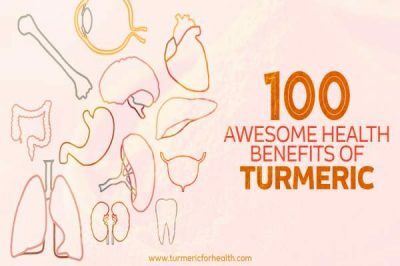 (Read How to get rid of turmeric strains) Use lukewarm water or oil that can be applied to the skin. It shouldn’t be too hot in which case you would be at risk of developing burns. Conduct a patch test before practicing these remedies. 63 breastfeeding women suffering from lactational mastitis were enrolled in the study. Every patient suffered from moderate inflammation. They were assigned to two groups: one received a pump of topical curcumin (200mg) every 8 hours for 3 days and the other received an only topical moisturizer. Treatment outcome was recorded each day. After 72 hours of treatment, women in topical curcumin had a lower rate of mild to moderate mastitis. A significant reduction in symptoms such as pain, breast tension, and redness was observed in topical curcumin group. 23 patients were free of mastitis after curcumin treatment. The anti-inflammatory property of curcumin, the active ingredient of turmeric is well documented. Curcumin inhibits the activity of the master protein that controls inflammation-nuclear factor kappa B. It inhibits various inflammatory enzymes and proteins and interferes in the functioning of biochemical pathways involved in inflammation. 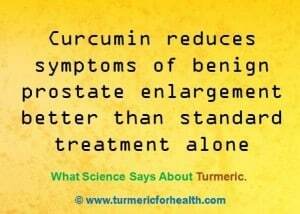 Curcumin has pain relieving properties. Kuttan et. al was the first to report the reduction in cancerous lesions and their associated symptoms by use of topical curcumin. This study also reflects that application of topical curcumin at low doses can reduce skin and soft tissue inflammation. Though not reported in the study, if the cause of mastitis is infection then curcumin can also help with that since it has broad spectrum anti-microbial action. Researchers also comment that curcumin taken orally may be more effective in reducing inflammation in mastitis. Ibuprofen is one of the drugs used to relieve pain and inflammation in mastitis but it has a number of side effects. In comparison to ibuprofen, curcumin is a much safer pain-relieving agent and is well tolerated. Curcumin applied topically relieves pain and inflammation in lactational mastitis within 72 hours. You can make a paste of turmeric powder in a suitable oil (preferably coconut or olive oil) and apply it topically to the affected region. 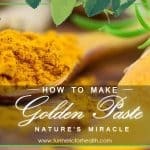 You can also consume Golden Paste (click here for recipe) to reduce pain and inflammation. Ayurveda, Indian Traditional Medicinal System, recommends the use of turmeric topically for treating wounds, burns, skin diseases, bone fractures and even pain. Science is discovering new ways to increase absorption of curcumin via skin in the form of nanoparticles or other encapsulations. Till then we can opt for home remedies. Turmeric powder mixed with lukewarm or even room temperature oil can help in reducing inflammation and associated pain. Do try these remedies and share your valuable feedback. 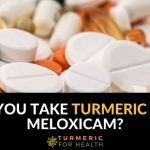 Is it safe to use turmeric topically for people who take blood thinner medication? Thanks! Yes, you can use turmeric topically while taking blood thinners. Great info, thank you. Question. 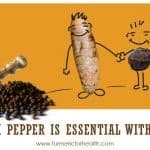 Is powdered turmeric recommended or can dried root pieces of turmeric be used to infuse some olive oil? I am looking for a way to use infused olive oil in a recipe but I do not want the salve to be grainy. Thank you in advance! 1. You could soak dried turmeric root pieces in olive oil and expose it to sunlight to prepare an infusion. 2. You could heat turmeric powder in oil and later let the infusion sit overnight. You can strain the infusion the next day. 3. Consider adding turmeric essential oil to your infusion. Hi. I recently made cannabis arthritis balm and am thinking of adding turmeric. Has anyone does this? I am here because I too am thinking this. can you use beeswax instead of an oil ? Could anyone please explain the best possible way for extraction of active ingredients (pain relief) of tumeric? Beware of lime burn if you use #4 and later expose the area to sunshine. Citrus juice, and lime especially, make the skin very photosensitive and when combined with normal amounts of sunshine can result in very nasty blistering burns. Look it up, “lime burn” aka phytophotosensitivity, is a real thing! hi , plzzz tell me ,, after taking turmeric ive got yellow colored urine is it normal??? I had a fall recently where I fractured my wrist.I now have bilateral shoulder pain which I think is frozen shoulders, but the Docteor is suggesting Polymyalgia and wants to prescribe Prednisalone. I have been talking Turmeric capsules (medicure) with oil for hip pain and Hiaitus Hernia for two years ,very successfully. Do you think I may benefit from topical applications for my shoulders. ( I dont react well with pills and would rather have a natural treatment)Many Thanks Ann. Try it and see what happens. Doctors always reach for the prescription pad and won’t’ consider alternatives. Hi Ann. 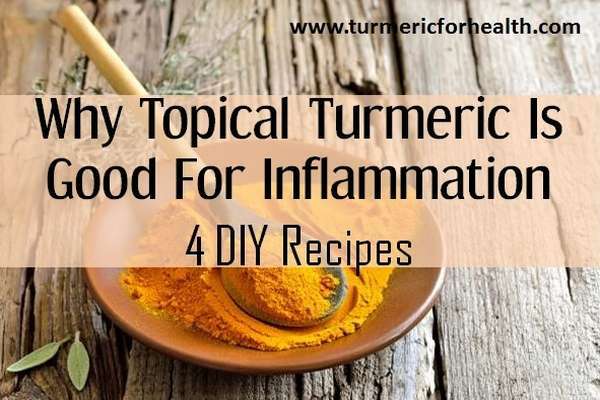 Since you are already taking turmeric capsules it will definitely attenuate the pain and inflammation. You can try the recipes mentioned above. Conduct a patch test prior and ensure you use only slightly warm oil for topical application. Try this for twice a day for a week and if there is any difference in pain, you would know its efficacy. 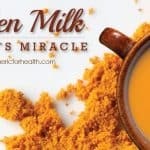 You can also consume turmeric milk for faster healing and pain reduction.